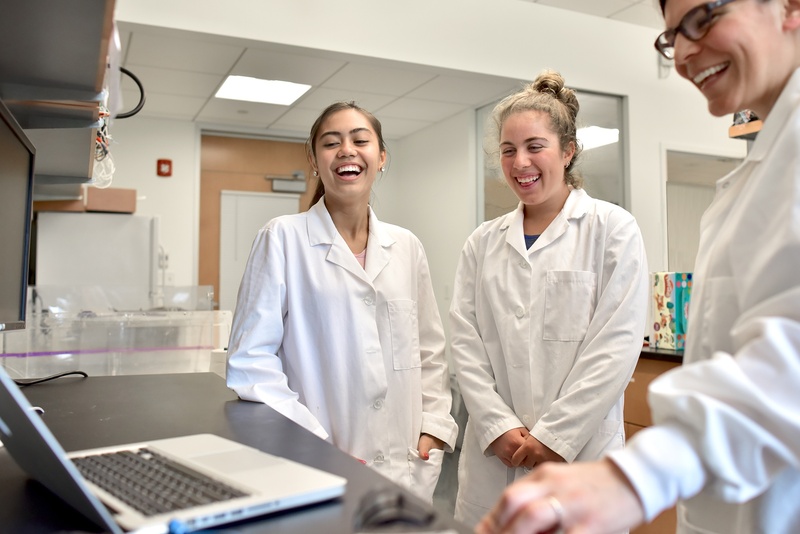 Wander the halls of most colleges and universities these days and you’re sure to see dozens of young women filling seats in science labs — in some cases, more women than men. After decades of effort to close the gender gap in STEM fields, it would appear that the problem is solved. Ekstrom showcasing the biomechanics of humans with a hands-on sensory exercise. Part of the problem with the “leaky pipeline” into STEM, as Ekstrom calls it, is that girls lose interest in the sciences by the time they’re 13 years old. Currently, only 24 percent of people in all STEM fields are women. 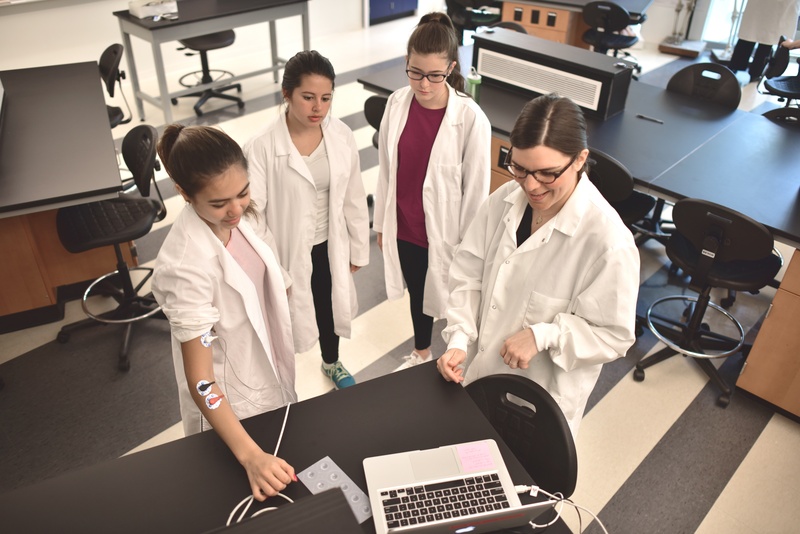 Ekstrom and Wheaton College have partnered with EXPLO to launch a new Bioengineering for Girls program for young women to explore the variety of work being done in the bioengineering and medical fields; immerse themselves in hands-on lab, maker and machine shop experiences; and gather valuable advice from professionals in the field via seminars and trips to industry labs. "The program will host young women in grades 9 through 11, and is an incredible opportunity to bring them back into the fold," Ekstrom says. In addition to taking trips to meet industry professionals and touring leading labs and facilities in Boston and the surrounding area, students in the bioengineering program will also work alongside Ekstrom in the labs at Wheaton’s Mars Center for Science and Technology — a 50,000-square-foot LEED-certified innovation space that features state-of-the-art imaging technology, a makerspace, and a top animal care facility. There, they’ll practice introductory surgical skills (including suturing and dissection), investigate and record muscle activity, and design, build and test a medical device under the guidance of industry professionals. Ekstrom discussing the unique biomechanics of toads with students. Ekstrom understands the value of young women working with those women who have laid the groundwork to integrate more females in STEM professions. In addition to her teaching and research at Wheaton, she has been actively working with colleagues at the College to address what she sees as a critical piece of the solution: mentorship. 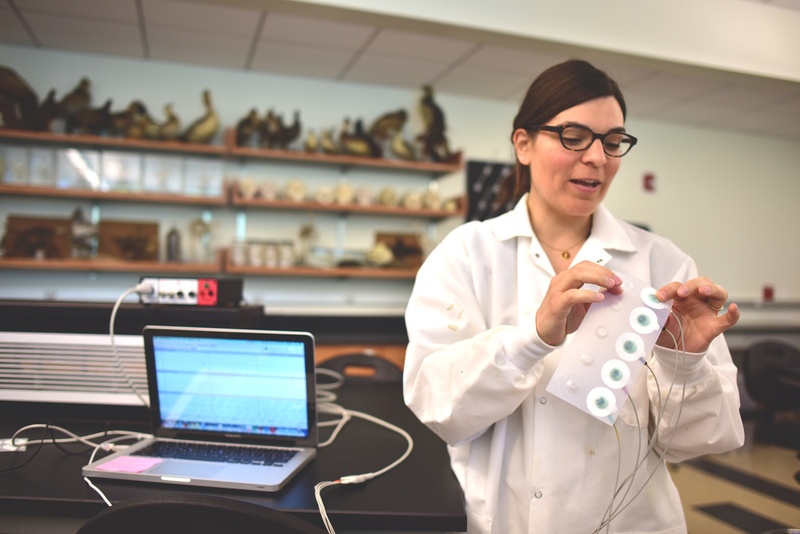 In 2017, Ekstrom co-founded the Wheaton Summit for Women in STEM, which brought together women from Microsoft, Novartis Institutes, The Exploratory, NASA, and top academics from premier colleges and universities to present and network with students in STEM majors. A second Summit is scheduled for March 2018. “There’s something to be said about ‘if you can see it, you can be it’ — having more visible role models of making it through is very powerful,” Ekstrom says.